Democrats say Whitaker's past comments "indicate a clear bias against the investigation that would cause a reasonable person to question his impartiality." Democratic leaders pressed the Department of Justice's top ethics official on Sunday to provide answers on whether the department has advised acting Attorney General Matthew Whitaker to recuse himself from overseeing special counsel Robert Mueller's investigation. In a letter to Lee Lofthus, the assistant attorney general for administration, Democrats highlighted Whitaker's past comments criticizing the Mueller probe and what they called a "troubling" conflict of interest as evidence that he should have no role overseeing the investigation. "There are serious ethical considerations that require Mr. Whitaker’s immediate recusal from any involvement with the Special Counsel investigation of the Russian government’s efforts to interfere in the 2016 presidential election," the Democrats wrote. Before Whitaker joined the Justice Department as former Attorney General Jeff Sessions' chief of staff in late 2017, he was a conservative legal commentator and wrote an opinion piece for CNN titled "Mueller's investigation into Trump is going too far." "It does not take a lawyer or even a former federal prosecutor like myself to conclude that investigating Donald Trump's finances or his family's finances falls completely outside of the realm of his 2016 campaign and allegations that the campaign coordinated with the Russian government or anyone else," wrote Whitaker, who has served as a U.S. attorney in the Southern District of Iowa from 2003 to 2009. "That goes beyond the scope of the appointment of the special counsel." And in a 2017 CNN interview, Whitaker defended Trump's eldest son, Donald Trump Jr., for taking a controversial June 2016 meeting with Russians at Trump Tower. In that meeting, Russians offered but did not ultimately provide dirt on 2016 Democratic presidential nominee Hillary Clinton. "The official supervising the Special Counsel investigation must be — in both fact and appearance — independent and impartial," the Democrats wrote. "Regrettably, Mr. Whitaker’s statements indicate a clear bias against the investigation that would cause a reasonable person to question his impartiality. Allowing a vocal opponent of the investigation to oversee it will severely undermine public confidence in the Justice Department’s work on this critically important matter." Whitaker, as highlighted by the Democrats, also served as chairman of former Trump campaign co-chairman Sam Clovis' 2014 campaign to be Iowa state treasurer. Clovis supervised former Trump campaign adviser George Papadopoulos in that role. Papadopoulos pleaded guilty last year to making false statements to the FBI as part of Mueller's investigation into Russian interference in the 2016 presidential election and whether the Trump campaign colluded with Russian officials in any way. "Mr. Whitaker’s relationship with Mr. Clovis, who is a grand jury witness in the Special Counsel investigation, as well as Mr. Whitaker’s other entanglements, raise additional concerns about his ability to supervise the investigation independently and impartially," the Democrats wrote, adding a request for Lofthus to provide in writing whether he or any other ethics officials at the Justice Department advised Whitaker to recuse himself from overseeing the probe. Signatories on the letter included House Democratic Leader Nancy Pelosi, Senate Minority Leader Chuck Schumer, ranking members Elijah Cummings, Jerold Nadler, and Adam Schiff of the House Oversight, Judiciary, and Intelligence Committees, as well as ranking members Dianne Feinstein and Mark Warner of the Senate Judiciary and Intelligence Committees. Whitaker's ascendance to the nation's top law enforcement position has been the subject of much controversy and scrutiny since President Donald Trump announced last week that he would replace Sessions, who said in a letter that he resigned from the post at Trump's request. Trump now: I don't know Whitaker. Trump in Oct.: I know Whitaker. Sessions had recused himself from all matters related to Trump's 2016 presidential campaign, which left oversight of the Mueller probe to Deputy Attorney General Rod Rosenstein. But with Whitaker taking over the top post, at least temporarily, oversight of the investigation falls into his lap. 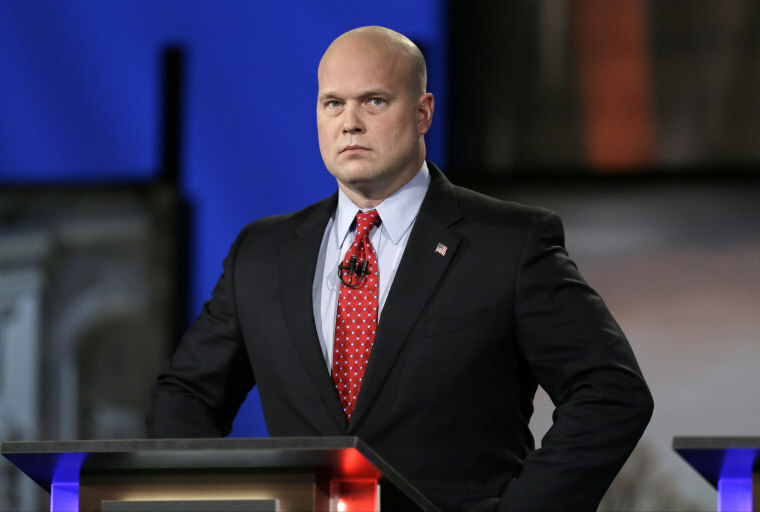 The acting attorney general has been reported as a close confidant to the White House, with The New York Times reporting in September that White House chief of staff John Kelly described Whitaker as the West Wing's "eyes and ears" at the Justice Department. Asked about his appointment of Whitaker, Trump deflected as to whether he knew Whitaker at all before he named him to the Justice Department's top job. "Well, Matt Whitaker, I don’t know Matt Whitaker," Trump told reporters Friday. 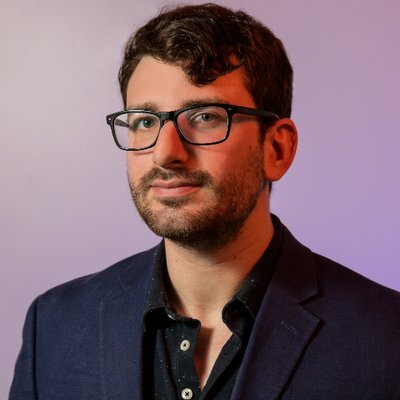 "Matt Whitaker worked for Jeff Sessions, and he was always extremely highly thought of, and still is, but I didn’t know Matt Whitaker." In an October interview with “Fox & Friends," Trump said: "I can tell you Matt Whitaker’s a great guy." "I mean, I know Matt Whitaker," he added. Whitaker's appointment itself, regardless of any possible conflicts involving the Mueller probe, may not be constitutional, as Schumer and others such as attorney George Conway, White House counselor Kellyanne Conway's husband, have argued. Alberto Gonzales, who served as attorney general under former President George W. Bush, told CNN that Whitaker should "absolutely" recuse himself if the Justice Department ethics officials recommend he do so. Asked about the Democrats' letter to Lofthus on "Meet the Press" Sunday, Schiff said it seems to him that "the facts for recusal are very strong here." "This is someone who's made repeated and prejudicial comments against the investigation," he said. Schiff, who is slated to be elevated to chairman of the House Intelligence Committee once the Democratic majority is sworn in early next year, said that if Whitaker doesn't recuse himself from the probe and has "any involvement whatsoever," Democrats will "find out whether he made commitments to the president about the probe." "Mr. Whitaker needs to understand that he will be called to answer," he added.